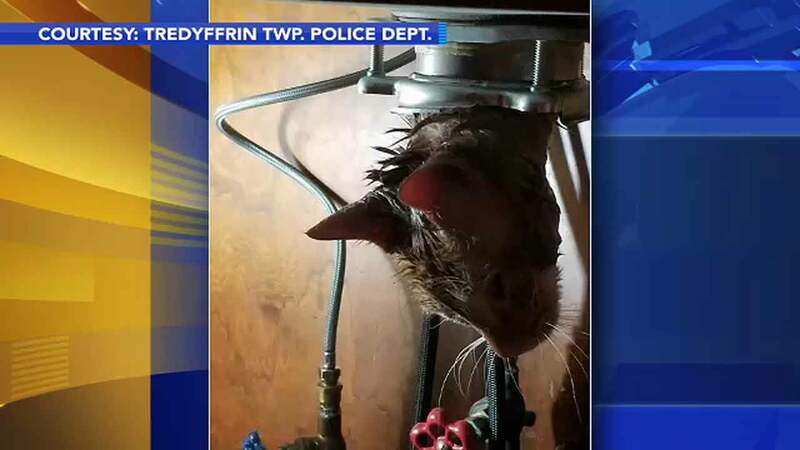 WAYNE, Pa. (WPVI) -- A very curious cat could have lost one of his nine lives, if not for a Chester County police officer and some coconut oil. Sam the cat found himself trapped in a tight spot after trying to sneak down a garbage disposal in Wayne on Saturday. Sam's panicked family called Tredyffrin Township police and Sergeant Brian Hughes responded. It took an hour, several tools, and some coconut oil, but the officer managed to free the trapped feline. Sam's owner says he's just fine, but still looks for the "monster" who pulled him into the disposal.